﻿ Do you know radio-over-fiber(ROF)? There are many disadvantages of digital fiber network: Its terminal equipment is limited, can only connect a few sensors, not support or support a small number of wireless network devices, mobility is limited; the network is difficult to expand, does not support multi-communication protocol coexistence, terminal expansion difficult, network upgrade reconfiguration is not easy. And the usual WiFi access point (AP) signal coverage range is 50 to 100 meters indoor, 100 to 150 meters outdoor. In order to achieve a wide range of WiFi signal distribution, we need to use the world’s leading radio-over-fiber technology, through the optical fiber transmit WiFi radio frequency, transmission distance may up to 5000 meters. 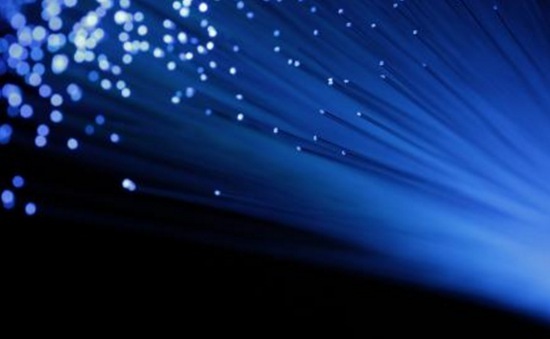 Radio-over-fiber (ROF) technology is a wireless access technology that combines optical fiber and wireless communications to meet the high-speed high-capacity wireless communications needs. Optical RF remote system is a technology and cost-driven products, optical networks and wireless networks is a combination of the initial embodiment. It can greatly reduce the operator for the site resources requirements, reduce investment, while can effectively improve the coverage effect. (1) to achieve WiFi radio frequency signal low cost, long distance, large-scale distribution. (2) Fiber WiFi system using WiFi fiber radio center controller centralized management and control WiFi LAN can greatly improve the reliability of the system to facilitate the management and maintenance of the network, the system network upgrades easy. (3) WiFi system remote node and radiation antenna structure is simple, reduce the remote access point cost and complexity. (4) WiFi system network protocol using standard TCP / IP network protocol, the system is easy to expand. (5) WiFi system through the WiFi local area network to achieve remote control, management and data collection, especially for large factories, terminals, hospitals, intelligent buildings and other occasions, wireless network signal distribution. (6) WiFi system combines the optical fiber and radio technology, WiFi wireless LAN, can also be integrated into the embedded Web server, RFID radio frequency identification technology is one, to achieve the integration of computer, communication, and control, is to achieve M2M Networking) the best solution. The use of a new generation of industrial wireless communication network system can constitute a wireless M2M system, a collection of data collection, industrial control, remote monitoring and management in one, and as a computer, network, equipment, sensors, human and other ecosystems, telecommunications, information technology Industrial control automates business processes, integrates the real-time status of company IT (IT) systems and non-IT devices and creates value-added services. This platform can be used in a wide range of applications such as safety monitoring, automatic meter reading, mechanical service and maintenance operations, vending machines, public transport systems, fleet management, industrial process automation, electric machinery, urban informatization, etc. Program. The production and processing of WiFi signal are concentrated in the internal (central room), and the distribution of large range (200 to 5000 meters) of an optical fiber is realized, and the signal coverage and bi-directional transmission are accomplished through the remote antenna. The product can be mixed to transfer WiFi and 2G,3G,4G, and other wireless signals, can save a lot of users of wireless network construction investment, avoid duplication of construction, and greatly improve the speed of network construction. 1.The wireless signal source localization: The wireless signal is generated by the switch, through processing and conversion from the optical fiber can be transmitted to 200 meters-5000 meters distal end. The advantages it brings are 1. Signal centralized management. 2. Local equipment maintenance. 3. Safer and more stable. 2.WiFi and 2G/3G signal mixed bi-directional transmission: The 2G and 3G (and future 4G) signal through the cable access to the optical switch, with the WiFi signal mixed processing and conversion of optical signals to the remote antenna, the realization of mixed signal bi-directional transmission. 3.Realize the reconfiguration of wireless network: that is, a region due to the excessive user caused network bandwidth is not enough, communication, network congestion. The Optical wireless network system can allocate other idle WiFi signals to support this area, and realize signal reconstruction.